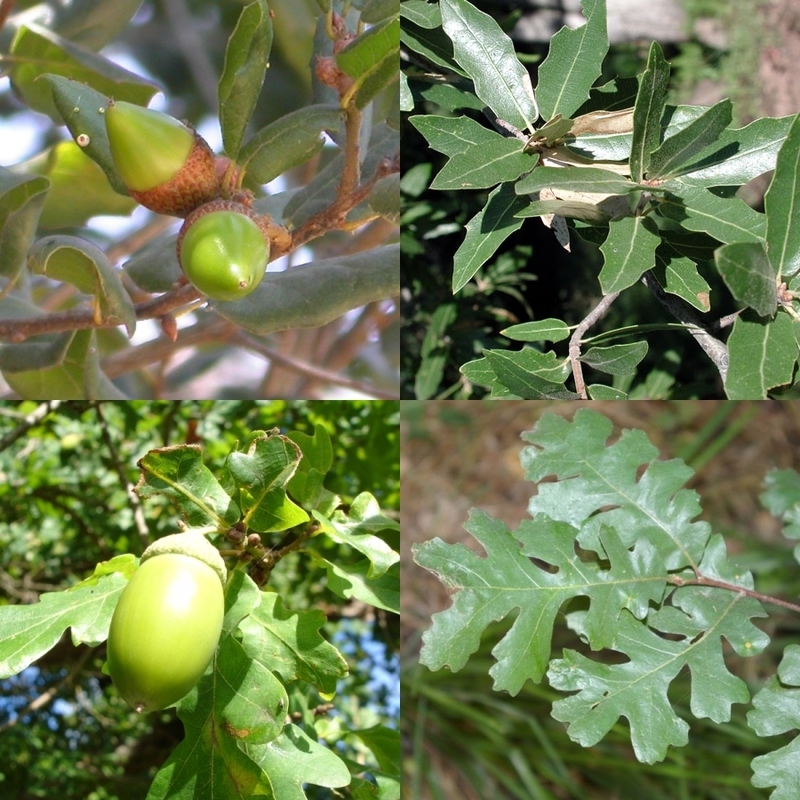 Acorns, young buds, twigs and leaves from oak trees (Quercus spp) are toxic to horses if ingested in sufficient quantities. 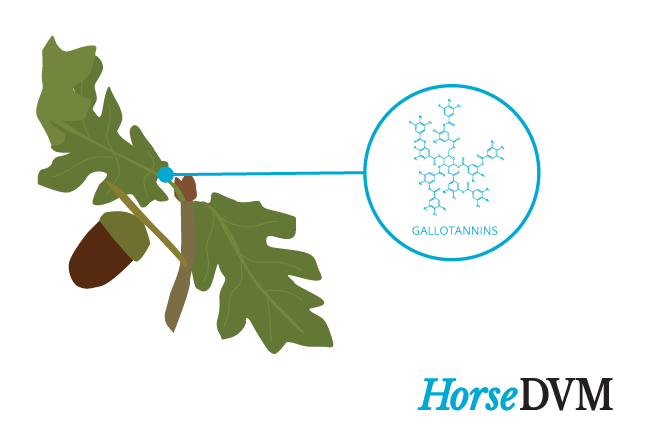 Oak tree parts contain polyphenolic complexes known as hydrolyzable tannins, specifically gallotannins, which are toxic to horses. When large amounts of tannins are present in the horse's system, they negatively interact with the levels of protein in their body, causing damage to their gastrointestinal system, renal functioning and less frequently, liver. The concentration of hydrolyzable tannins present varies based on oak species, season, and stage of growth; they are highest in immature leaves (which grow in the spring) and acorns that have recently fallen from trees (occurs in the fall). Eating small amounts of leaves or acorns is generally harmless. However, when it can become a problem is when horses develop an acquired taste, and actively seek them out in pastures, which can occur. Consumption of small quantities of acorns may only result in mild clinical signs, in which recovery is possible. However, when large quantities of acorns are ingested, signs are much more severe, often causing typhylocolitis leading to diarrhea, colic and acute renal tubular nephrosis. Supportive care :Aggressive fluid therapy, limited stress, and laxative treatment until the acorns pass through the horse's system. Trim or fence off all reachable branches of oak trees that are located in or beside the fence line of horse paddocks. Be mindful not to dispose of oak clippings or acorns where horses could access them. Prognosis depends on the amount of toxins consumed.